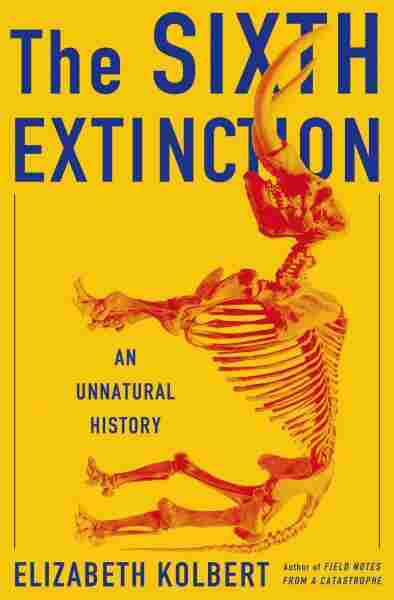 Interview: Elizabeth Kolbert, Author Of 'The Sixth Extinction' Scientists think an asteroid killed the dinosaurs. In today's extinction, humans are the culprit. 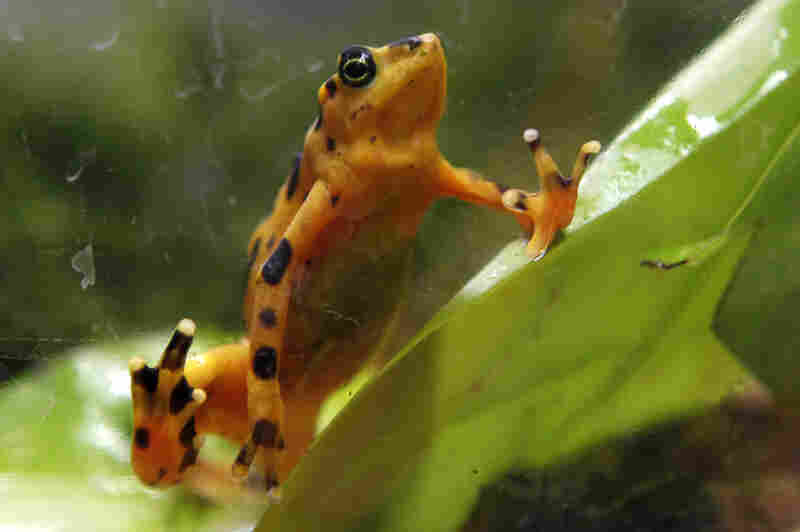 Elizabeth Kolbert says the "taxicab yellow" Panamanian golden frog was nearly wiped out by a fungal disease. It's just one of the species affected by what scientists call the Sixth Extinction. "We are effectively undoing the beauty and the variety and the richness of the world which has taken tens of millions of years to reach," Kolbert tells Fresh Air's Terry Gross. " ... We're sort of unraveling that. ... We're doing, it's often said, a massive experiment on the planet, and we really don't know what the end point is going to be." 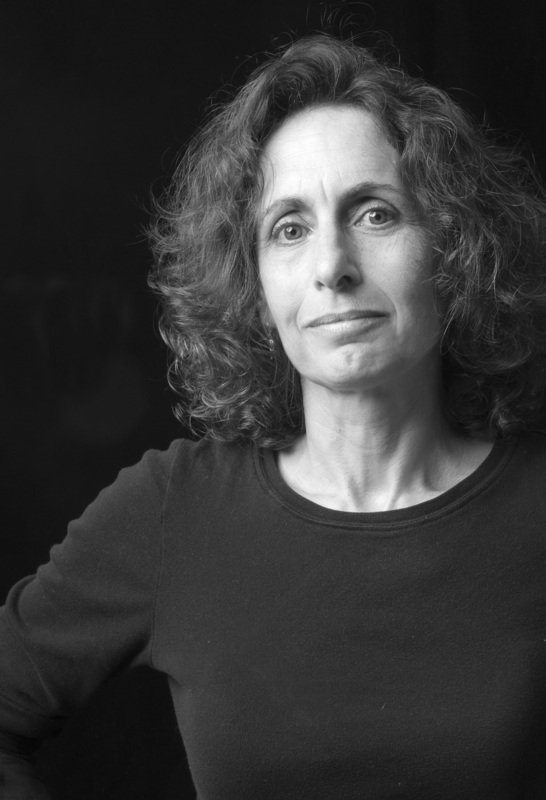 Climate change was the subject of Kolbert's previous book, Field Notes from a Catastrophe. Her research for the new book took her around the world, to oceans, rain forests and mountains — as well as a place nearly in her backyard — where scientists are studying disappearing plants and animals. "Amphibians have the dubious distinction of being the world's most endangered class of animals," she writes. "But also heading toward extinction are one-third of all reef-building corals, a third of all fresh-water mollusks, a third of sharks and rays, a quarter of all mammals, a fifth of all reptiles and sixth of all birds." The definition, I suppose, would be many, many organisms across many, many different groups. And that is, really, what we are seeing and that is what makes scientists fear ... that we're in a mass extinction. ... About a quarter of all mammals are considered endangered. ... About 40 percent of all amphibians are considered endangered. But we're also seeing organisms, invertebrates, for example, are endangered ... many species of reef-building corals are now considered very, very endangered. So you're seeing extinctions across a wide variety of groups, and that, I think, would have to be one of the defining characteristics of a mass extinction. On carbon emissions affecting ocean acidity — climate change's "evil twin"
[It's] global warming's equally evil twin ... and from the perspective of the broad expanse of life, there have been a few moments in time where the oceans have become acidified, not necessarily acidic but acidified ... and they are associated with some of the major crises in the history of life. If we continue at our present rate of CO2 emissions, then by the end of this century ... [extrapolating from this study,] you're looking at eliminating a third of the creatures in the ocean as a very rough estimate. And then as you ... get closer and closer to [underwater gas vents] — so even beyond what we expect at the end of this century — if we sort of continue beyond that point, then you're getting to a point where your oceans really start to look sort of like the underwater equivalent of a vacant lot. There's a frog known as the Panamanian golden frog, and it's a beautiful, beautiful frog. It's sort of a taxicab-yellow frog with very skinny arms and legs and it's considered a good-luck symbol. ... These yellow frogs were just all over. ... And then this scourge came through, which turns out to be a fungus, a fungal disease, and just wiped them out. And what happened is that scientists realized — because they had seen this pattern before, they actually anticipated this — and they took some of them out of the forest into a conservation center ... and they are breeding them there. There are still Panamanian golden frogs in this center, but they cannot go back out into the world into their own native habitat because this fungus is still there, and the fungus survives even though the frogs no longer do. 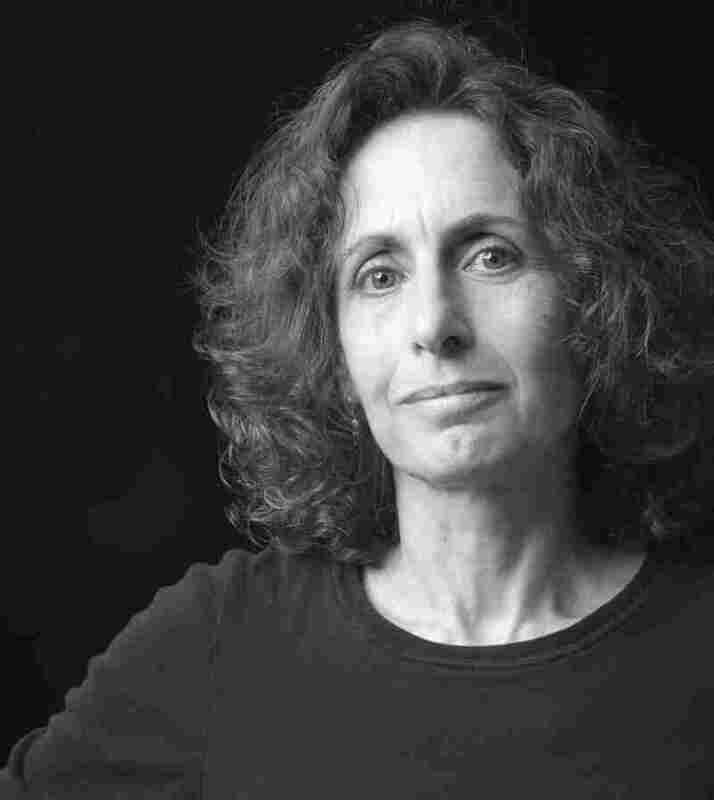 Barry Goldstein/Henry Holt & Co.
Elizabeth Kolbert is a staff writer at The New Yorker and also the author of The Prophet of Love and Field Notes from a Catastrophe. One theory — it has been very difficult to pin down — but it's that this fungus was moved around the world. Another really interesting story on frogs [is that they] were used in the '50s and '60s for pregnancy tests. Something called the African clawed frog, if you inject it with the urine of a woman who is pregnant, it will lay eggs very quickly. And obstetricians used to keep whole tanks of these frogs in their offices. And the African clawed frog turns out to be a frog that carries this fungus but doesn't seem to be killed by it. So one theory is that as these frogs were [exported] around the world, they carried this fungus with them ... so we brought the frogs and the frogs brought the fungus. I think what has changed is the scale and the rate. For example, it's been estimated that just in ship ballast now in our enormous supertankers, people are moving 10,000 species a day around the world. So even though our ancestors were already at this project and did cause significant effects because of that, and significant numbers of extinctions, we have just ramped it up to a whole new level. Bats just [started] dropping dead all of a sudden ... around 2007. It happen[s] that the epicenter of this was right near where I live ... in Western Massachusetts. This was first noticed in Upstate New York. Right as it happened I was able to go out with some scientists to a cave in Vermont, which was the largest bat hibernacula in New England. So bats in the northeast hibernate in the winter, they go into a state of torpor, they hang by their toes. They try to find a place like a cave where the climate is going to remain pretty stable over the winter, and their body temperature drops almost to freezing, so you'll see ice crystals on them a lot of times. And they just hang there, completely motionless — it's an amazing thing to see. In this bat cave in Vermont, they were particularly hard hit. They just started to drop from the top of this cave to the floor in these huge drifts of dead bats. I went out in the winter of 2009, and it was an absolutely gruesome scene of a carpet of dead bats. After a mass extinction, it has generally tended to take many millions of years for life to recover. It's not something that you bounce back from, from one day to the next.